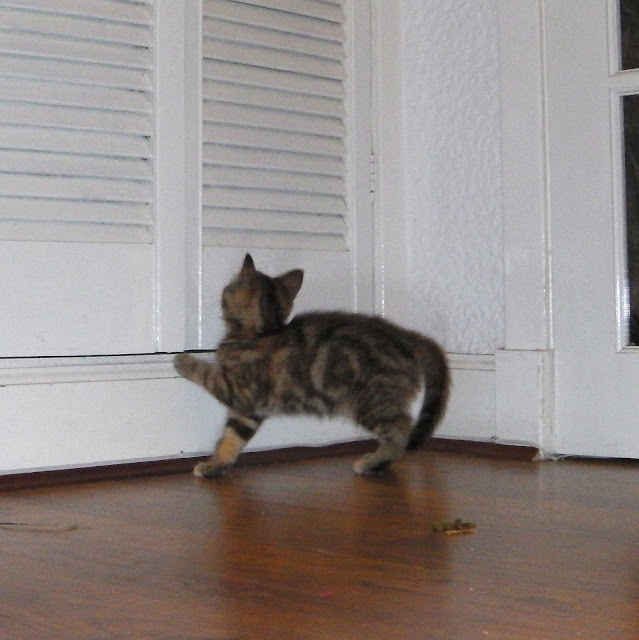 We have a new beast in the house; a little tabby girl of just nine weeks old. The list of potential names grew ever longer until we spotted the letter A she has; ginger on one side, black on the other. So, Hester it is and she is beautiful.